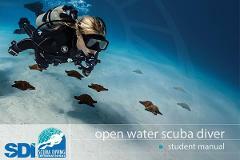 The SDI Open Water Scuba Diver course is designed to give you the necessary skills to safely conduct open water dives. This course is the key to start exploring dive destinations around the globe. 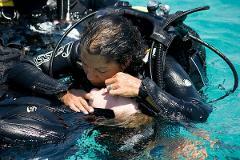 Referral Courses can be done if you have completed only part of your dive training. 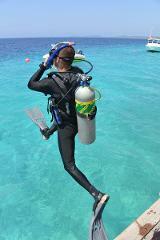 Once you arrive in Isla Mujeres, you can then finish your dive training and become a SDI Open Water Diver. Ready to take the next step in your diving career? Learn what to do during an emergency underwater, and how to prevent future accidents. Current First Aid certification is required and offered along with this course. Duration 3-5 days. If you’ve taken your Open Water Scuba Diver course and are now ready to expand your knowledge but would like to see what is out there first, then the SDI Advanced Adventure Diver course is for you! Go Pro and become a professional SDI member!! 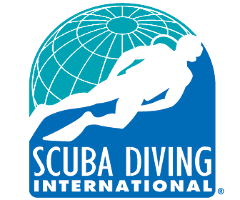 Get your SDI Dive Master Certification here and learn all about working in the diving industry. Duration minimum 3 weeks. The SDI Computer Nitrox course Nitrox is a breathing gas that has a lot of benefits for both new and experienced divers. This course will cover the use of nitrox mixtures from 22 to 40% Oxygen.